Flowers to put a smile on their face. 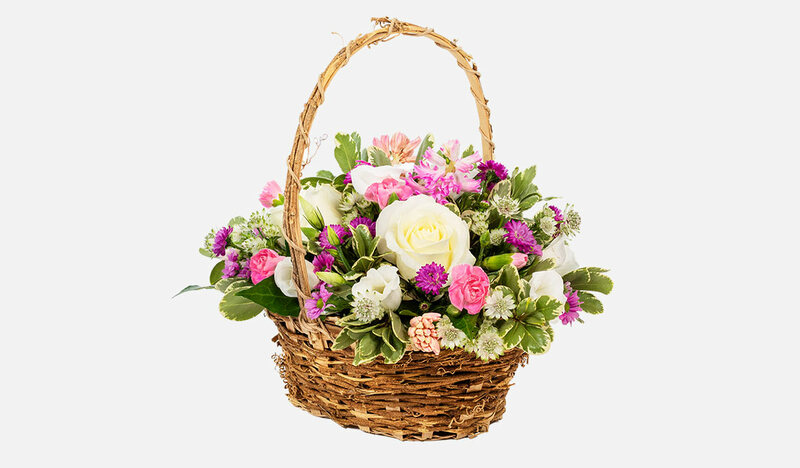 Let them know that you're thinking of them with this fun petite collection of flowers and foliage to send same day. Had enough chocolate eggs, rabbits and hot cross buns? Fancy giving a different gift this Easter? Then why not try something different and send some beautiful flowers. 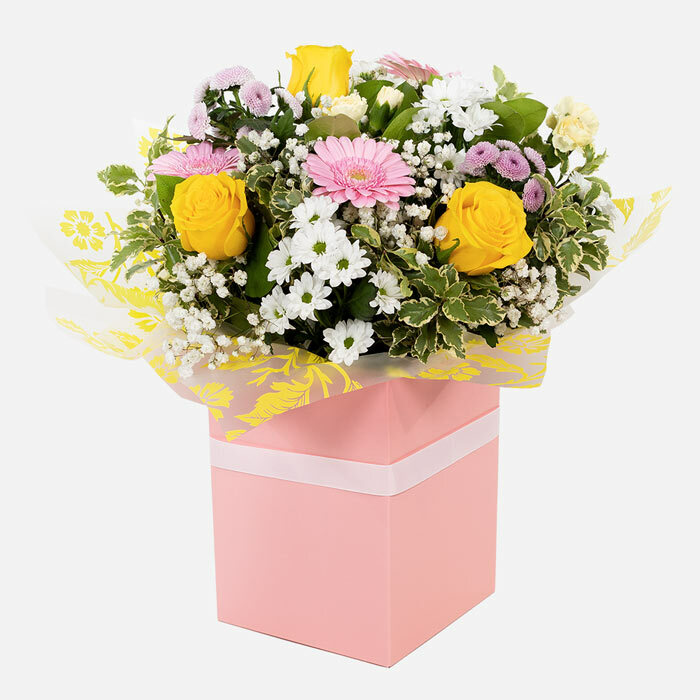 Easter is a great time of year to send flowers thanks to the milder temperatures the onset of spring welcomes and the new growth and delightful burst of spring colour it encourages. From seasonal bulb flowers that are springing into bloom through to a wider choice of colours and varieties of Ireland’s favorite flowers such as roses and lilies, Direct2florist can help you with a flower delivery in Limerick, Dublin, Galway, Cork or wherever else you want to send flowers in Ireland. 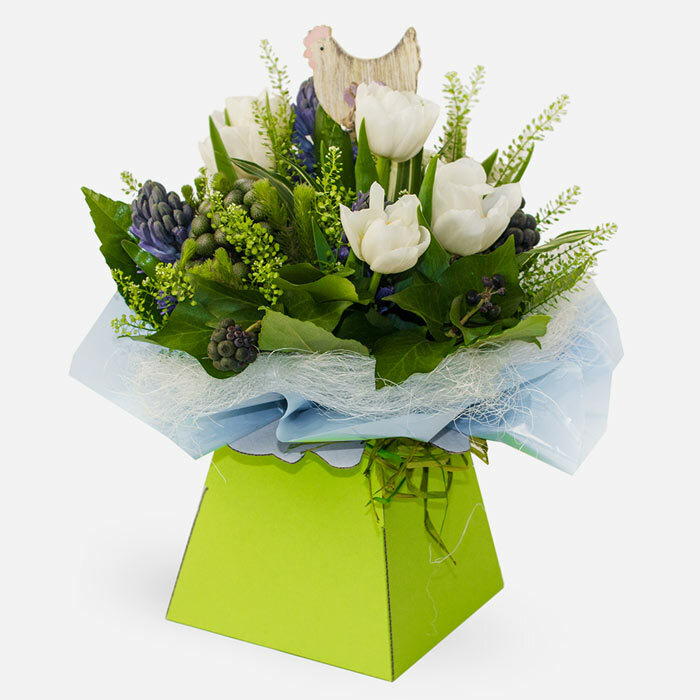 What’s more, Irish customers can reliably use Direct2florist to send flowers worldwide via skilled local florists who mean you can send flowers from Ireland to London, Manchester, Edinburgh, Sydney, New York or any one of the numerous locations covered by Direct2florist around the globe. That means if you can’t be with friends and family this Easter you can still share your love and thoughts. When it comes to flower choice, our florists – all of whom make and deliver their floral gift designs by hand – provide you with loads of choice at Easter. 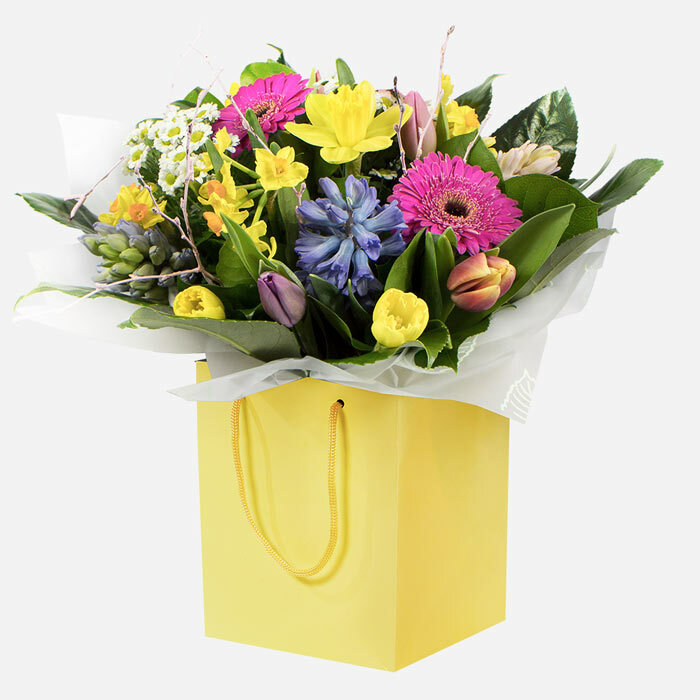 Favourite colours for flowers and the exquisite packaging you can expect when sending Direct2florist flowers include pastel blues, pretty pinks, lemon yellows or cerise and gold. However, because we encourage our florists to use their own design skills rather than dictating what they can and can’t deliver, if you have something specific in mind they will be able to create it for you. Finally, if you’re looking for something more traditional, why not opt for the exquisite white Easter lily - a pretty symbol of the resurrection and the classic flower of Easter. 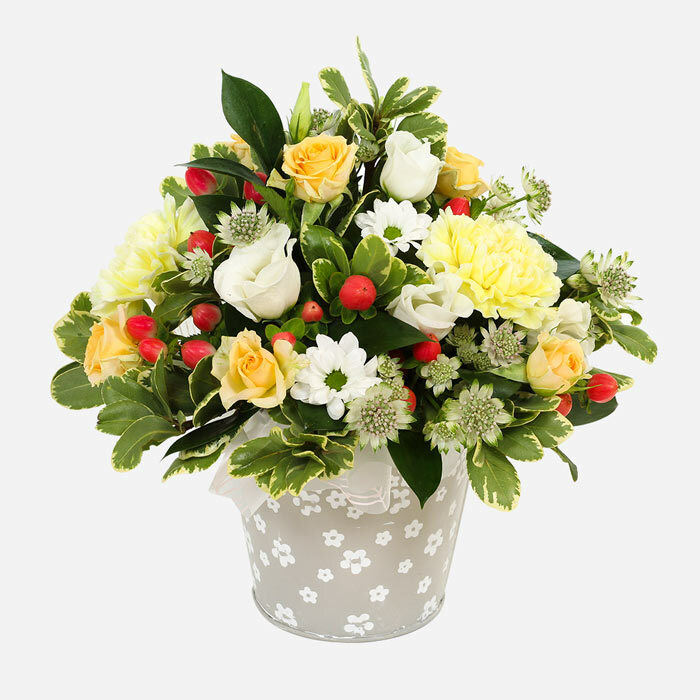 Let her know you're thinking of her with this beautiful collection of florist fresh flowers, perfect for the occasion. 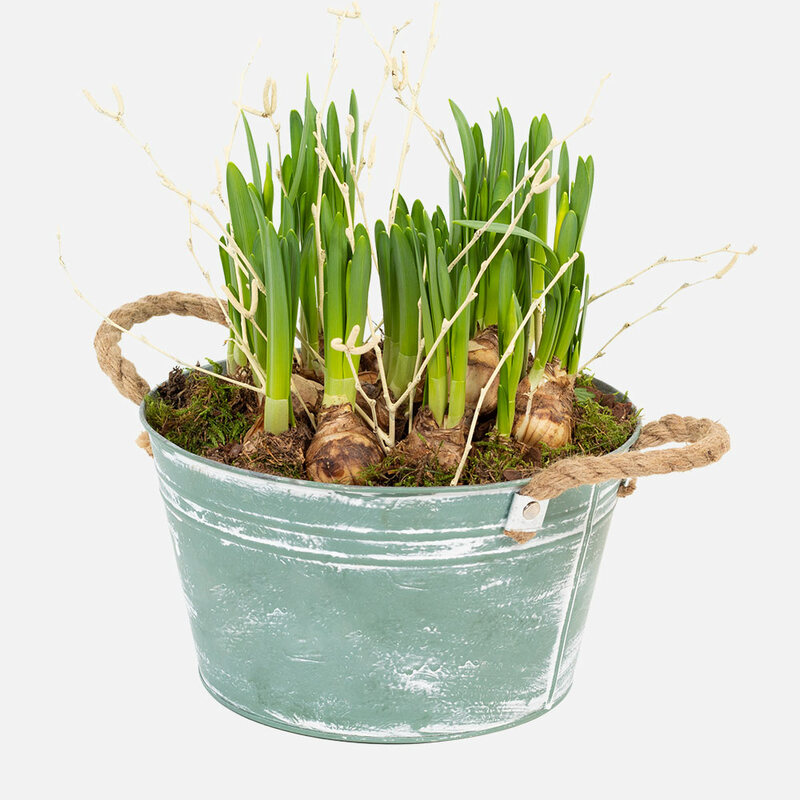 Treat them to our Spring planter. A wonderful collection of long-lasting Spring bulbs delivered in style by a local florist.